If you are a government officer, an extension worker, or a staff member of an NGO or an international donor, you may have an opportunity to plan or implement a food-processing training program for farmers. When you provide a training program on food processing, you need a clean training venue which is equipped with cooking equipment. In rural areas of developing countries, however, it is quite often the case that there are very few training facilities which meet the hygiene standards and are well equipped with kitchen equipment. Nevertheless, if you had to conduct a food-processing training session in a rural area, what would you do? Here is a good example of how to manage such a situation. In the Philippines, the Department of Trade and Industry (DTI) is responsible for promoting business development. In Mountain Province, which is located in the northern part of Luzon Island, 12-hour drive from Manila, DTI Mountain Province utilizes a hotel kitchen facility as a training venue for local women. Mountain Province is a tourist destination due to its magnificent nature and unique ethnic culture. Therefore, there are some good hotels for tourists. Generally, a hotel kitchen is clean; basic infrastructure such as safe water, electricity, and gas is available, and it is provided with kitchen equipment. 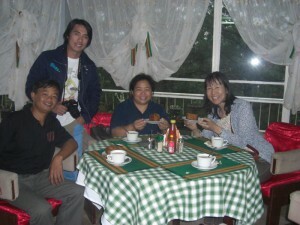 In addition, the training participants can also learn how cooked food is served or is sold to customers at the hotel. 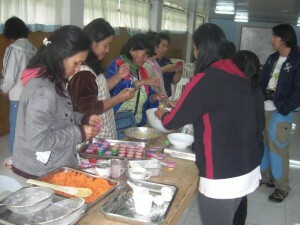 One day when I visited Mountain Province, DTI Mountain Province was providing local women with a training session on how to make carrot cake at a hotel. 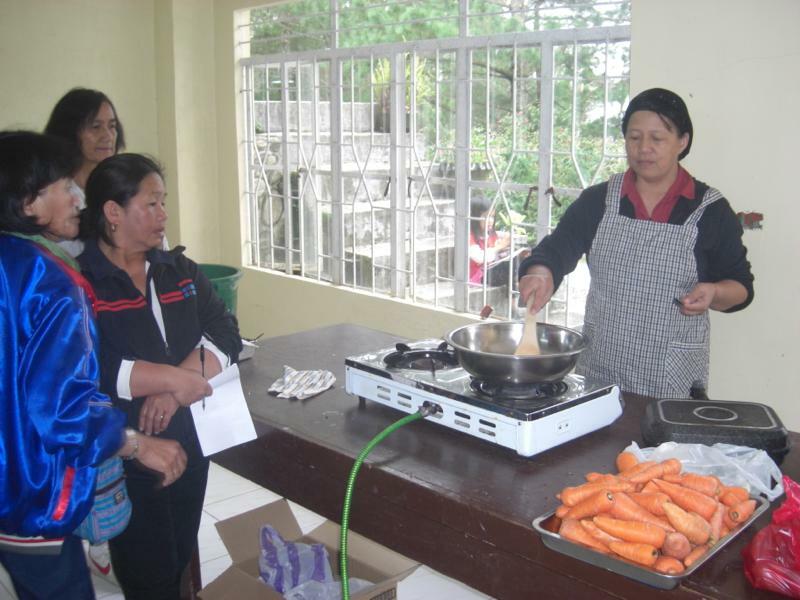 DTI Mountain Province rented a cooking facility as a training venue from the hotel, but borrowed their cooking equipment for free. As for other things such as deep fryers and large stainless cooking vats, a fund provided by a congressman was used to buy them. 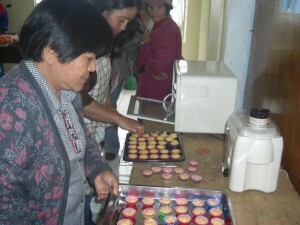 These things are kept in the custody of DTI Mountain Province, and DTI staff members bring them to the training venue. Those who are registered with DTI can borrow them at minimal fees, which are equivalent to 1% of the total price of the processed products. After the training, if they would like to cook the same products at home or in their group, they can borrow the same cooking equipment from DTI Mountain Province. Thus, there are a lot of advantages to utilize a hotel kitchen as a training venue. 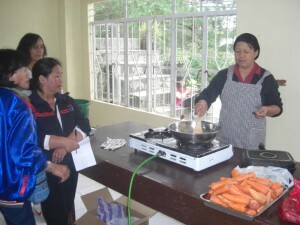 Next time you plan a food-processing training program, why don’t you use a cooking facility of a hotel nearby?